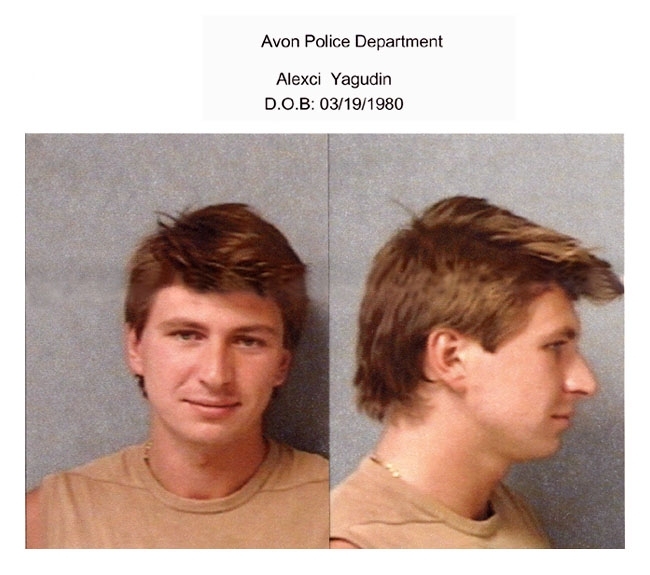 Alexei Yagudin, the 2002 Olympic gold medalist in figure skating, was arrested by Avon, Connecticut cops in August 2003 and charged with driving under the influence of alcohol, speeding, and making an improper lane change without signaling. Yagudin, 23, received four perfect 6.0 scores in the Salt Lake City games. No other man in Olympic history has ever earned more than one perfect mark.